25-30 years ago the arch was rebuilt and I.B. 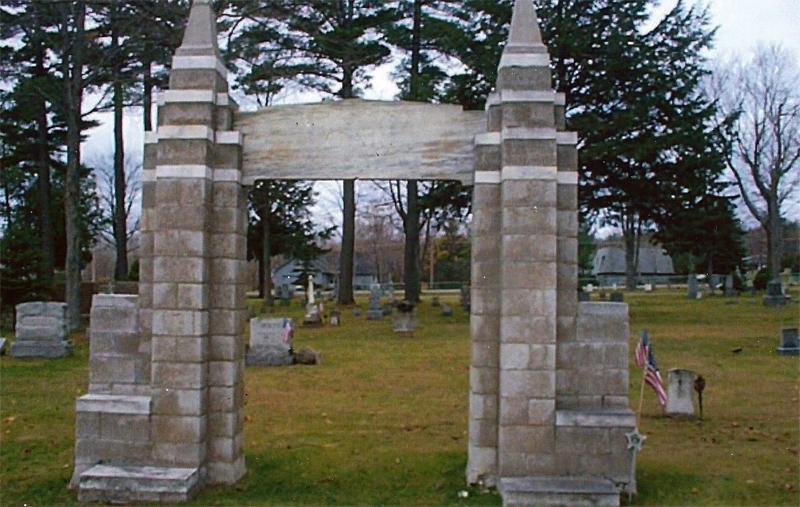 Richardson's remains were put in the right hand column of arch. 20-30 years ago Post 13 and W.R.C. Post disbanded. Although the headstones pictured below aren't memorials, we thought they were interesting. 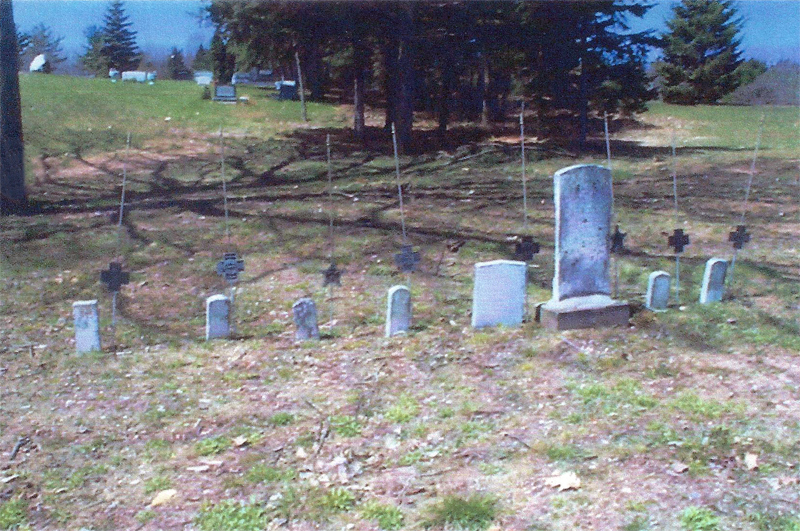 The third marker from the left and the 3rd marker from the right are Civil War (GAR) graves. The rest are from the Spanish American War. 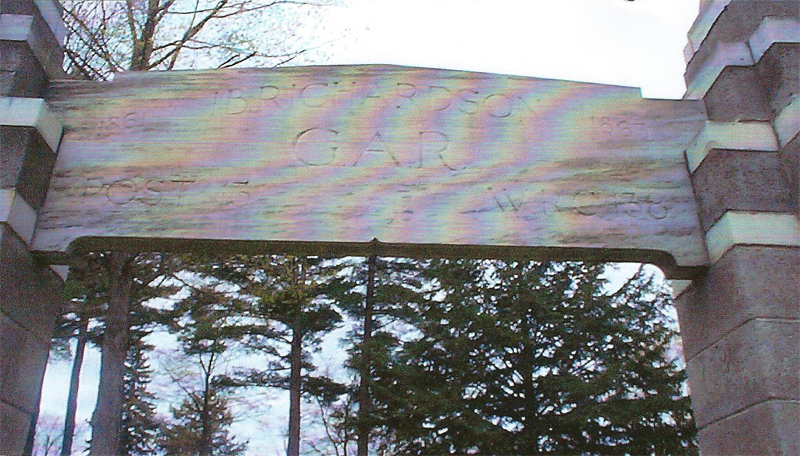 The graves are not in the main part of the cemetery but are off to the side near the road. Further research is needed.